In the fall of 2009, I bought 1500 earthworm cocoons, scattered them over the soil in my flower beds as well as my raised vegetable garden beds, and lightly raked them in. I don’t know how many earthworms I’ve got in my flower and vegetable garden beds now but I’m delighted to see them whenever I find them. They’ve even begun showing up on the opposite side of the yard. There are about 3000 species of earthworms but they fall into two basic categories: surface feeders and subsurface feeders. Surface feeders eat a variety of organic materials such as dead grass (they’re great lawn de-thatchers), leaves, flowers, fruit and vegetable debris. They also eat a variety of algae, fungi and bacteria. So what does that mean for your garden? Minerals found in rock particles in the subsurface layers of the soil are ground up into finer particles and transformed by the worm’s gut into forms plants can utilize. Tunneling activity brings these nutrients back into plant root zones where plants can absorb them. The earthworm gut functions like a bio-reactor in that the number of beneficial micro-organisms excreted in its worm castings are up to a thousand times more numerous than the number of micro-organisms it ate. Microbial activity in the soil transforms raw nutrients into forms plants can utilize. The more microbes you have, the healthier your plants will be. The bio-reactor in the earthworm gut detoxifies harmful chemicals and produces plant growth hormones that stimulate plant roots to grow faster and deeper. Bigger root systems support bigger plants. Bigger plants produce more fruits, flowers and veggies. 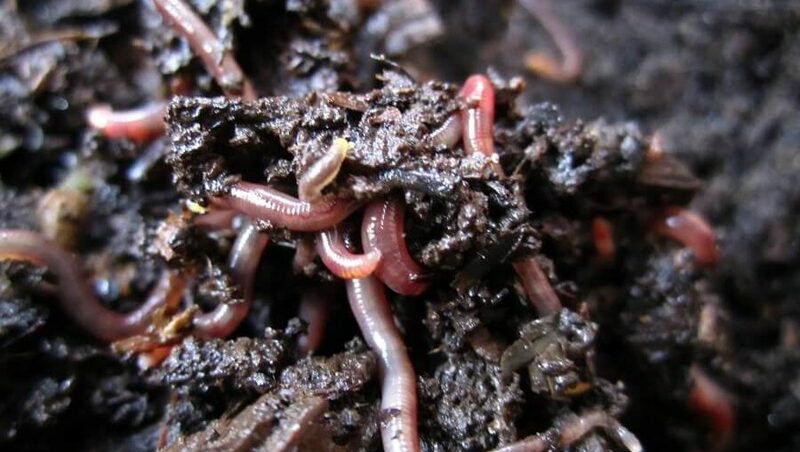 Earthworms help neutralize soil pH. What comes out the back end is closer to neutral than what goes in the front end. Acid soils become less acid and alkaline soils less alkaline. Most fruit and veggie plants are better producers in soils close to the neutral zone. Some weed seeds ingested by earthworms are destroyed and others lose their ability to germinate. Fewer weeds means less back breaking work for you and more nutrients for your plants to feed on. Earthworms create soil conditions that discourage insects, parasitic nematodes and other harmful soil organisms. Tunneling activity aerates the soil and provides channels through which plants can sink their roots deep to access nutrients in deeper soil layers. These tunnels also act as water reservoirs. The bodies of worms are extremely nutrient rich from minerals to amino acids, proteins and vitamins. When earthworms die, these nutrients are released into the soil. The benefits of earthworms in Houston soils are numerous. I could go on…but if you’re not convinced already by how they will benefit your yard and garden, I doubt it would do any good.